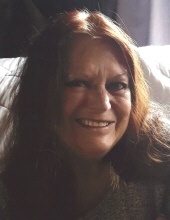 OWENS, Penny M.- age 68, of Byron, passed away November 29, 2018. Funeral services will be held 1PM Tuesday, December 4, 2018 at Sharp Funeral Homes Linden Chapel, 209 E. Broad St., Linden, Fr. Robert Copeland officiating. Visitation will be 4PM to 8 PM Monday. Memorial contributions to the family would be appreciated. Penny was born February 2, 1950 in Flint the daughter of Donald Sr. and Jean (Boekner) Malosh. She married Gerald E. Owens in Flint on August 1, 1967. She was a homemaker. Penny enjoyed traveling, cooking, styling hair and spending time with her family and grandchildren. Surviving: husband, Jerry; children, Gerald Owens II, John Wayne Owens, and Tina Marie Johnson; 6 grandchildren, several great grandchildren; sister, Robin; several nieces and nephews. Penny was preceded in death by her parents; daughter, Denise Owens and brother, Donald Malosh, Jr. Memorial tributes may shared at www.sharpfuneralhomes.com. To send flowers or a remembrance gift to the family of Penny M. Owens, please visit our Tribute Store. "Email Address" would like to share the life celebration of Penny M. Owens. Click on the "link" to go to share a favorite memory or leave a condolence message for the family.